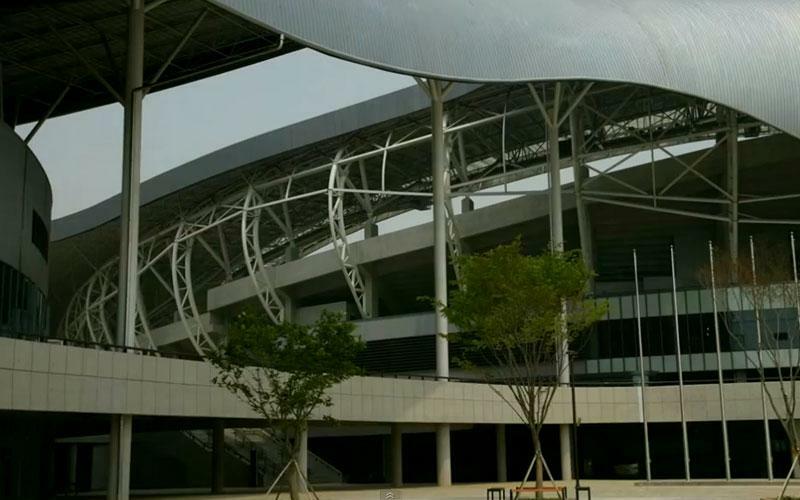 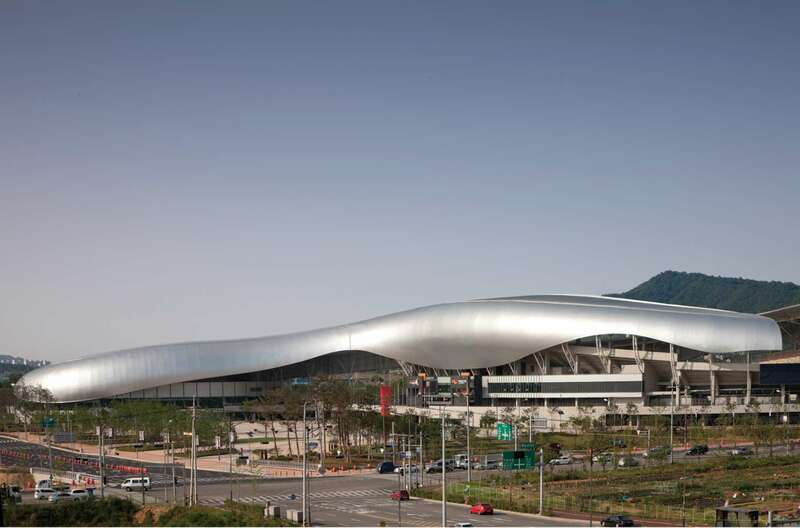 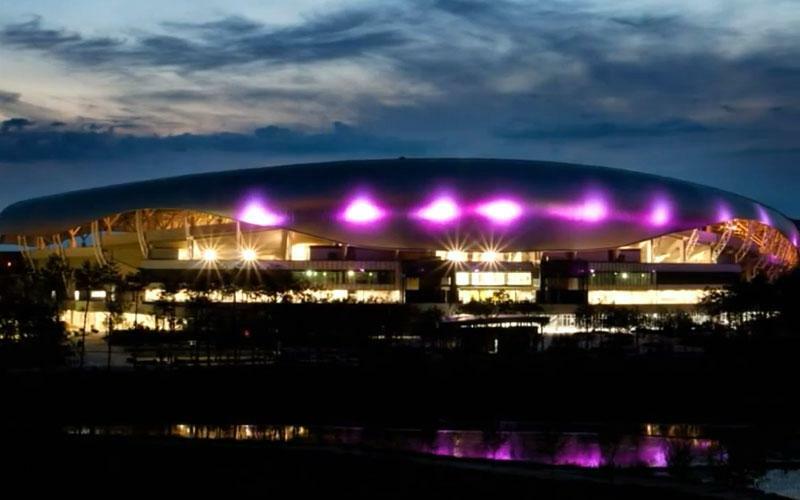 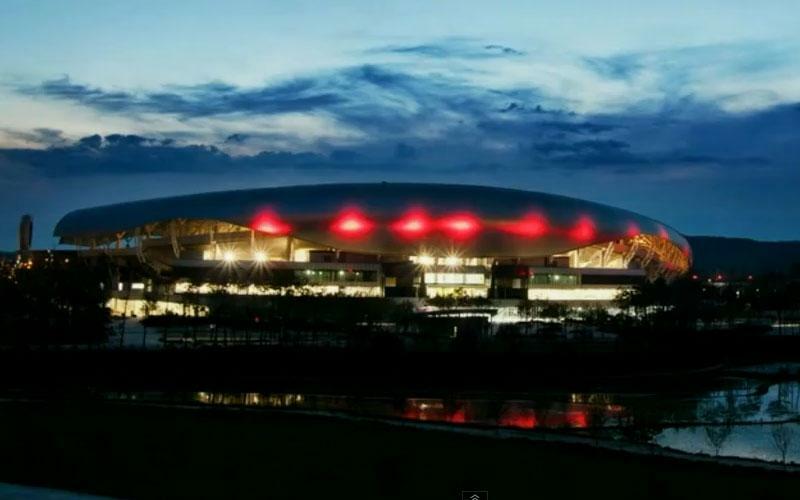 New central stadium for the city of Hwaseong was designed in 2009 by DRDS office and construction started just a few months later. 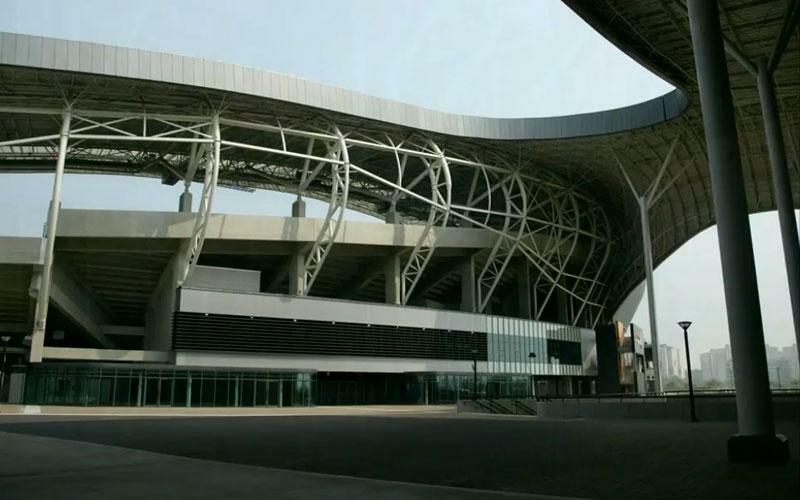 It took two years to build stands accommodating 35,000 people. 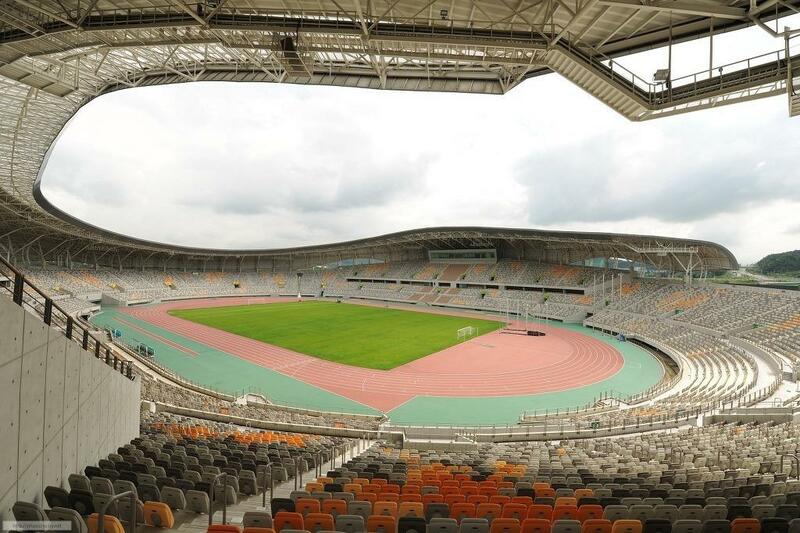 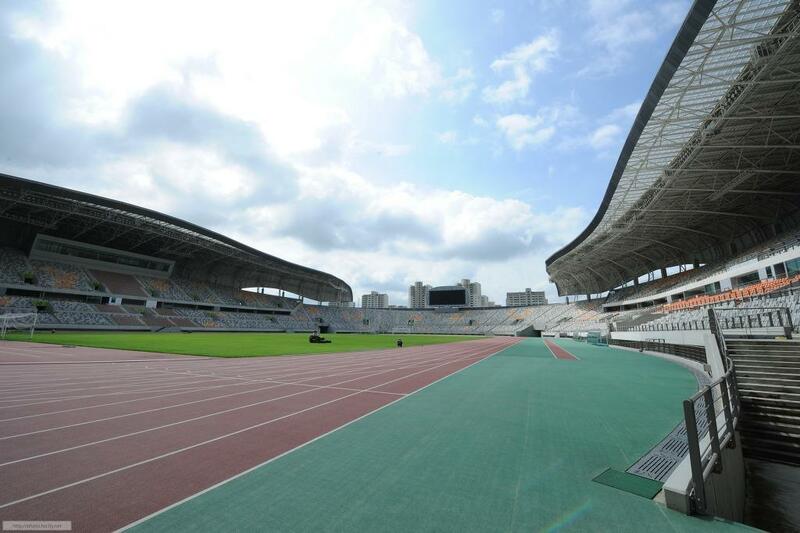 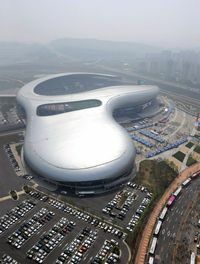 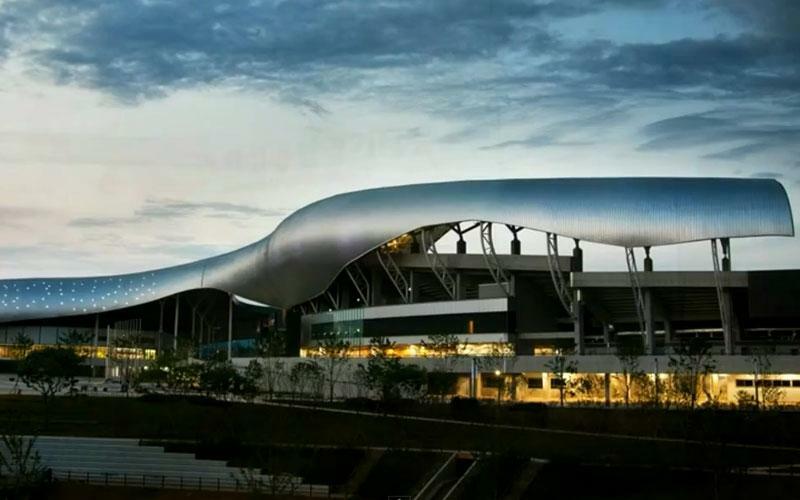 The stadium is also integrated through cladding with an indoor hall for another 5,000 people and next to it is a secondary track and field venue for 2,000 people. 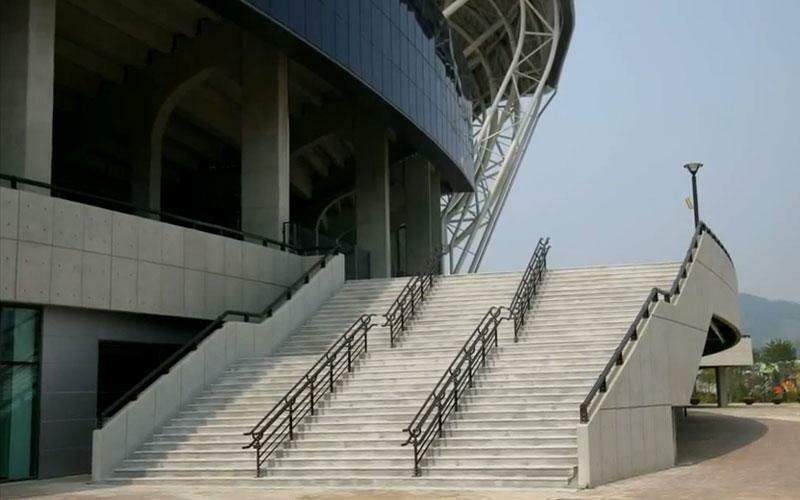 There are also parking spaces and park alleys built as part of this development. 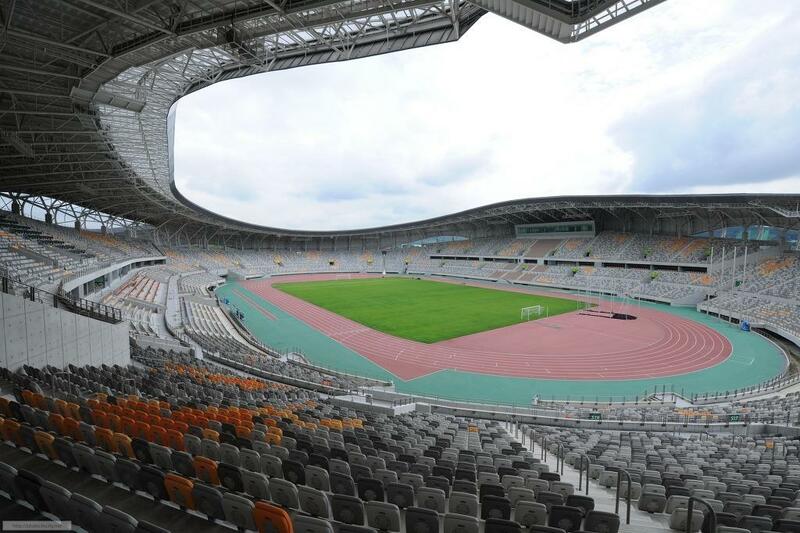 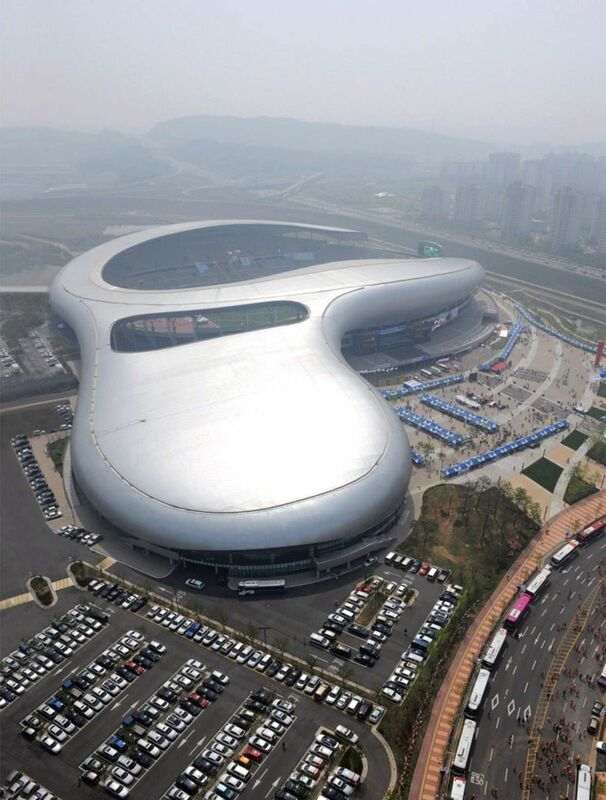 The stadium, open towards the city, has a very distinctive covering that seems amorphous and almost alive. 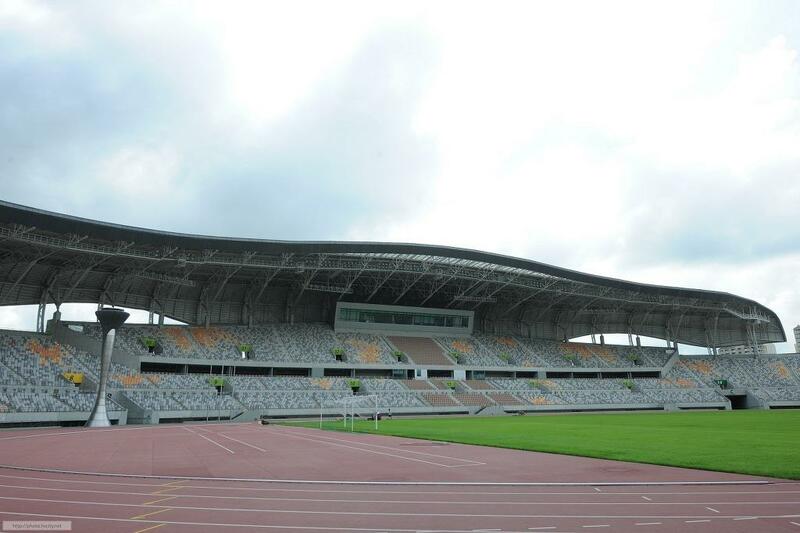 Very dynamic shape is continued with stands of differing height, divided into two tiers alongside the pitch and single-tiered behind goals. 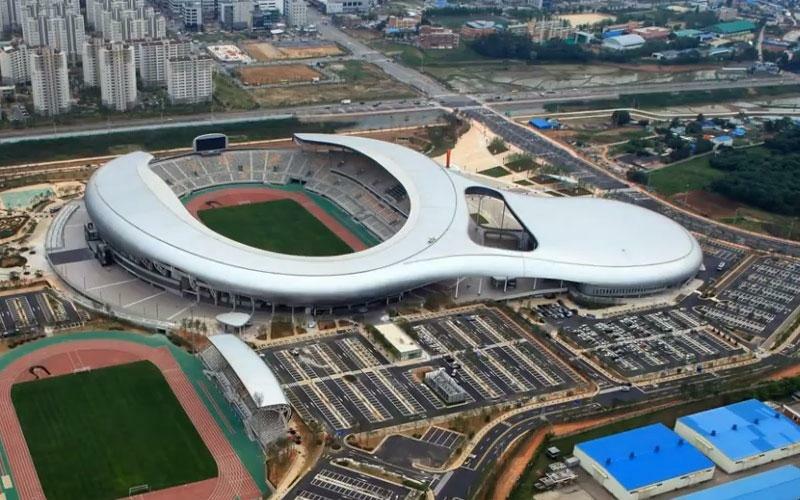 The whole complex cost some 237 bln KRW.